After a couple of weeks with limited top 40 games in the UK, Nintendo has a few different titles making their mark in the most recent chart results in the country. 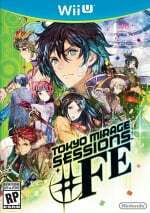 Tokyo Mirage Sessions #FE made its debut last week and secured a top 20 position, landing in 18th place in the all-format charts (16th single-format). It's not a mind blowing result, but considering the platform and niche nature of the release it's heartening to see that some have put down the cash for the Atlus / Nintendo collaboration. 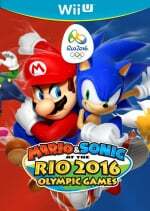 Further down the charts Mario & Sonic at the Rio 2016 Olympic Games returned to the top 40 thanks to the arrival of the Wii U iteration; Chart-Track is treating it as a dual release and counting their results together. Both titles combined secured 30th place in the all-format chart, while the new Wii U version charted at 32nd in the single-format results. Five 3DS Nintendo Selects titles also arrived, with The Legend of Zelda: Ocarina of Time 3D leading the way in the extended range by securing an impressive 26th place in the single-format charts, and 34th in the all-format stakes. In fact, it was the only title in the new Selects range to make the top 10 in the 3DS-only chart, so the other four freshly discounted titles fell rather flat. The Wii U chart also had a couple of interesting new arrivals that struggled to set the charts alight. Terraria entered the Wii U-only chart in 6th place, with Mighty No. 9 one position further back in 7th. Considering the modest general sales of Wii U games those titles are unlikely to have moved many units in the UK. So there you have it, UK chart results with a little more intrigue than normal. Why not list the top 40 so we can see for ourselves? Like you do with the Japanese charts...? Excellent game, so it is nice to see it get some recognition. I actually always had high hopes for it, but even I was surprised to finally see how well all it's elements work together. The setting is still weird in many ways, but it's the kind of weirdness that makes something interesting and fresh. Well done, Atlus, IS and Nintendo! From what little I have been able to play it, I am going to enjoy the game. But with a house full of boxes right now, it will be a while before I can really dig into it. I played it for about an hour just now got to the first boss. Seems passable at the very least, but it could still go either way. The battle themes sadly seem exceedingly generic and forgettable which is a big minus right of the bat. Wow as great as both series are I did not expect the collaboration between the two to really have much success in the west. Kudos to Nintendo and Atlus .Hopefully Color Splash and Zelda BOTW Wii U Edition are also is a late successes for Nintendo as they get ready to move unto the NX. Top 20 for TMS#FE isn't too shabby. 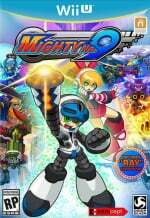 Not the game we were promised, but its not a disaster like mighty number 9. @Moon pretty certain Chart Track ask news outlets not to publish the full list. Figures it would have a decent start, the fact its the combination of Fire Emblem, Shin Megami Tensei, and an Atlus game guarentees it will be rare and pricey the moment it goes OOP. OOT as well, CeX were charging £38 at one point for used copies. A much for attractive price point for the 3DS port now. I'm sure it'll drop out by next week, but still, that's probably a better result then Nintendo was expecting. I still can't see this game making a profit, but we'll see. @RandomBlue Were we even promised anything? The first trailer was basically just a slide-show with old character art that metioned that they were working on a collaboration project between Shin Megami Tensei and Fire Emblem which we got. It certainly wasn't what most people were expecting but they never promised anything other than this. I am actually glad that it became like this. I prefer this over a 2d fighter or Project X zone, which most collaboration games seem to be. I am loving the gameplay of TMS and I am glad that it managed to secure a place in the top 20. @MajorTom No did not expect the transition from smt to persona. Im not discrediting the finished game, but as a fan yes i am dissapointed as it did not deliver on what the 1st trailer was promising. @RandomBlue Still the first trailer didn't show any concept art or anything. It only showed old character art of the previous games. Character art of old games isn't exactly a concept of a game, it was more of an announcement that there would be a collaboration since it didn't show any footage of the game, so nothing was really promised back then. @MajorTom Shin Megami Tensei x Fire Emblem was announced. @RandomBlue And this is Shin Megami Tensei X Fire Emblem, it has the gameplay elements of both games, it has references to both games ect. So what is your point about it being announced and now released? @MajorTom Persona has the same battle system. And the smt games are known and beloved because of their dark, realistic, and apocalyptic themes which are nonexistent. Its a crossover between persona and fire emblem like i have said and not a true smt game. And no i did not expect to see it in that form since it is a crossover game, but i expected to see aspects of those themes in some way which are nonexistent. My point being it bears less resemblance to smt. @RandomBlue Persona is still a part of the Shin Megami Tensei series even if it is a spin-off series. You having different expectations is not the same as it being promised to you. They never told you they would keep it as "dark, realistic, and apocalyptic". I can't call the Shin Megami Tensei series much realistic in the first place, demons attacking Tokyo and stuff isn't exactly realistic is it? Still the game does have themes like Shibuya being partly in ruins, still not as apocalyptic as previous games in the series, by a force from a different dimension. Which seems typical Shin Megami Tensei to me. @RandomBlue The battle plays more like Digital Devil Saga rather then Persona 3/4. The only thing that could can be seen taken from P3/4 are the Session attacks, but 1. they don't work like Persona 3/4 in that you have to hit all of the enemy's weaknesses to activate it and 2. A lot of JRPGs use joint attacks now so to say it's exactly like Persona is wrong. @MajorTom While persona is a spinoff game, they are vastly different from the smt games. Persona settings are in modern day japan, high school life simulation, more up beat and lively atmospheres, and friendship/all that jazz. And yes they definitely did, its in the title. Shin Megami tensei. Not persona. And the new persona isnt even having smt in the title. It uses facets such as demons etc. but it has become its own series. And the argument,: "They never told you they would keep it as "dark, realistic, and apocalyptic," is INCREDIBLY silly to say. Talk about games like paper mario or metroid for example. You can use the same argument for those to be honest. Oh they never told you that they would keep it as a great open adventure rpg filled with great characters, partners. You let yourself get your hopes up, so you have no reason to complain. And not that the new metroid game cant be good it can be for all we know, but it doesnt even have samus(as main character) which would obviously upset fans. When i said realistic, i meant how it tackled personal strife and deciding what to do what was morally right or wrong. No, i do not think having demons attacking is realistic. Lastly, persona has had "dark" themes to it. They are just very mild and do not show much gore. The difference is actually playing the games and its evident in smt4 final announcement teaser for example. That stuff is way direct dark. Which again, more similarities bearing to persona and not the mainline games. @uzuki Interesting, the combat has looked really well polished and i cant wait to give it a try when it hits discounts (which since its atlus will probably be a while). @RandomBlue Doesn't it also make sense as this being a collaboration between two different series that it certainly won't be exactly like the main series. I doubt you can make a game that keeps every element of both series in the same game. 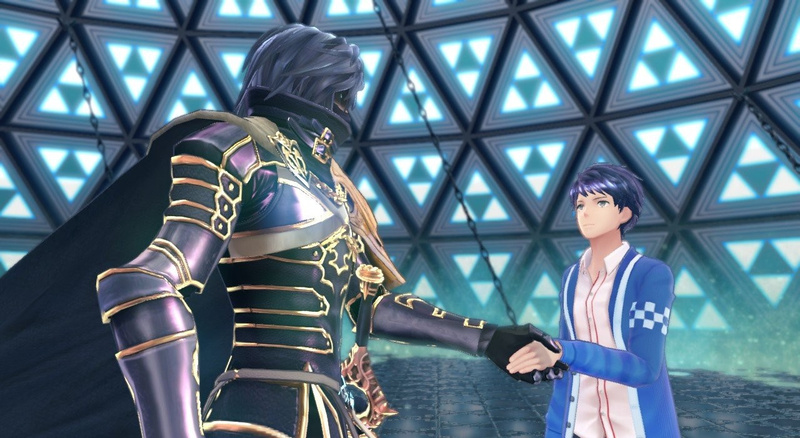 For what most people seemed to want was probably some game with just a bunch of Fire Emblem characters who probably all lost their memories meeting up with a bunch of Shin Megami Tensei characters who also all lost their memories, like Project X Zone. I think that a game like that would even have a worse story than this. There also are Shin Megami Tensei games where a bunch of school boys and girls need to tame demons like the Devil Survivor series. But did you honestly expect a spin-off crossover with Fire Emblem having every element of Shin Megami Tensei? If it has every element of Shin Megami Tensei it wouldn't be a collaboration between two games would it? @RandomBlue People keep comparing it to Persona, but no previous Persona game has had the vibe of TMS. In any case the Hee-hoo references and the gameplay are traceable to SMT. My point being it bears no resemblance to smt. @RandomBlue It certainly bears a resemblance to SMT. The gameplay, Shibuya being attacked by Mirages "demons", a shop with Jack Frost as their mascot with a clerk that is only seen by Mirage Masters "Demon tamers" ect. @RandomBlue Also you have to be more clear when saying Persona games are upbeat jazzy. For one P1, P2, and P2.5 play like an generic SMT game except Demon powers are directly tied to the demon you've assigned to an character. And all 4 persona games get just as dark as a "normal" SMT game. The vast difference is that instead of the story being driven by the world and the events in it, the story is driven by the characters and their reactions to the events that happen. In that Persona and TMS share a common theme, outside of that it has the core of any other SMT, but with an Idol Music dressing. That doesn't make it any weaker then the other spin-offs in the franchise. @MajorTom Its a nice nod to them. However, the game screams persona as all the reasons that ive already stated. It seems like so little from the mainline games from my perspective. Its deserving of the criticize it earns, but its mostly nintendos fault for deciding to unveil it when it was not ready. Its not that im furious about the game but dissapointed that it was not at all what many were expecting. But i can understand your points, albeit i cant agree with them. @uzuki Cant speak for the first 3 games. Only played through p3, 4. And they are not just as dark. P3 had instances where characters would *** but it didnt get much darker than that. P4 only dark where it showed bodies and even then it was pretty mild and didnt show much. @RandomBlue Like I told before that not only the persona games have a modern day Japan setting with high school boys and girls, look at the Devil Survivor series. @MajorTom Devil survivor has it, not every game but it does. Persona every game has had a modern day setting. Which is why i relate those two together. @RandomBlue So why can't the spin-off collaboration of the series have a setting with modern day Japan with high school boys and girls like some previous Shin Megami Tensei series? My point still stands. You having different expectations is not the same as it being promised to you. Point? I never said it couldnt. Its a feature that resembles a persona game most of the time. Yeah i had different expectations, i expected it to have smt elements moreso than personas happy go lucky atmosphere and acting passive aggressive doesnt help your argument. @RandomBlue '"Not the game we were promised, but its not a disaster like mighty number 9." "but as a fan yes i am dissapointed as it did not deliver on what the 1st trailer was promising." @RandomBlue So having people eaten when the midnight hour comes around isn't dark? Or how a young man killed a woman because he couldn't control his powers? What about when the elementary school child of that woman is plotting murder for revenge? Or how the characters are conflicted if what they're doing is the right thing and several of the characters plus the main character sacrifices his life to not only save their friends, but also the entire world? What aabout the murder of several towns people scattered all over buildings and telephones? Or when a 5 year child is dying in the hospital, because of the ravings and actions of a psychopath? How is that not dark? Because there isn't blood on the screen at all times? Or does there need to be swearing after every other word? Just because a game is more subtle with it's darker elements doesn't mean it has to be written off or taken less seriously. Majora's Mask barely has any blood or graphic pictures, but it's one of the darkest games ever made because of the subject matter it's handling and how it approaches it. No it didnt deliver these are personal opinions. If you get insulted by someone having different opinions get off the internet. Nothing i have said has been rude but my own thoughts. This will be my last comment, Im not going to spend time trying to argue. "Demons attacking Tokyo and stuff isn't exactly realistic is it?" "My point still stands. You having different expectations is not the same as it being promised to you." And no i was respectful and just explained what i thought about a video game. Here are one of mine. "But i can understand your points, albeit i cant agree with them." @RandomBlue Since when is something getting promised personal opinion? I told you that the first trailer showed nothing other than old character art and announced a cross-over between Shin Megami Tensei and Fire Emblem, does this promise anything other than there being a collaboration between the series? A promise is not something you make up in your own mind, you had different expectations which is correct but it wasn't promised to you. According to you a trailer showing old character art promises you to have a dark, apocalyptic and realistic game which is obviously not true... You only expected it to have them. @MajorTom From the name, not the trailer. Not according to what i said. I dont see why you intend to argue. People have different opinions that are not yours. I dont even care what your flawed points are because you have been rude for no reason. Just because its nintendo doesnt mean it cant be criticized by someone else. Just enjoy the game for what it is instead of continuing to try to find a way to tell someone that they are wrong about it online. ....and yes i realize i commented again.. The game was always going to chart. The Nintendo UK Store and GAME were one of the few places in Europe where there were any decent amounts of the Fortissimo Edition available. Combine that with Atlus and Fire Emblem fans and a starved Wii U audience. That's a good result all things considered. I'd like to see it there next week but I doubt it or it'll be clinging on around the 40 mark. It would have been very front loaded with pre orders. With it being a quiet time of year, even Mario & Sonic at the Average Games done well and that game stinks. @RandomBlue I understand that you have a different opinion and I can accept it, but you could word it better than saying that it wasn't what you got promised while you only had different expectations. TMS#FE managed to beat Mario & Sonic in the UK?! Maybe it's the dual release thing but wow, I'm surprised. not sure what the "you only" is for because its not like im the only one with this opinion but alright. Its no problem though. I said ill purchase it when it hits discount so its not like im a soured fan who refuses to support it. @RandomBlue I am not really offended to be honest. I was just a bit bored and wanted a good discussion, but it seems like that you can't accept that the first few persona games have dark themes and are a part of the Shin Megami Tensei series and that some Shin Megami Tensei games are set in modern Tokyo with high school boys and girls. I just don't understand why you can't consider this a Shin Megami Tensei game while it has a lot of the elements of the series. @MowMow789 One game was good, one game stank. One game was a fresh collaboration, the other is a stale franchise. And yes TMS #FE had a couple of different versions and with the UK Nintendo Store and GAME UK being 2 of the few places to buy the Fortissimo Edition, that no doubt boosted its chart placement. I have no interest in talking of something when the other was being clearly rude. Its no longer a good discussion nor belong here. To answer, it is because those elements are overshadowed. Theres an overabundance on its style/friendship which overshadows elements that are classic with smt. I enjoy seeing dark things, not that it needs to be pure gore. My point was that its not it didnt show much resemblance to smt. Nintendo never showed off anything that indicated any dark or serious elements. Seemed to closely resemble persona which is more about friendship. It has had dark themes as @uzuki mentioned, but it was never a huge focal point. Persona is seen more as friendship, work to save the world etc, and smt of darker, serious topics. Edit: While its a spinoff, i look/compare those two games differently. I dont see them as the same. Also a good day to you. I'm surprised to see #FE doing well. It's not my sort of game and I didn't expect it to do well, but it's still great to see it on the charts. You have a point, but this is the UK and I don't think there's that many fans of niche games like this. It seems I'm wrong though. Also, not to be a pendant, but GAME wasn't selling the Fortissimo Edition, it was just the Nintendo UK store. Been loving the game, mild difficulty spikes here and there nothing unbearable though. It sold well enough so the limited edition sold out twice! It is definitely a marvelous time and the story is incredible! @MowMow789 No GAME did too but that was months and months ago. They only got the one batch for pre order and it was never available again. 8 hours in, and though I have not been blown away, its not too bad. I have to consciously not take the game too seriously (with all the crazy crap that is happening the public seems pretty oblivious to everyone falling standing up) but I love the them and some of the music is great. I guess this game will be a one time crossover like Pokemon Conquest and Wario Blast, if we didn't buy it we'll probably never get another one. I guess unless it's Mario & Sonic, there won't be any sequels to speak of. @retro_player_22 uh.....it sold well enough to place top 20 with many ither games that came out. And it a niche new Ip. Certainly nothing to be laughing at as it was released on Friday. We dont even know how its doing worldwide. Just the UK. I know it's just 18th and won't last long, but it was totally above my expectations that it could achieve it, especially in the UK. So glad this awesome game is doing so well! That sounds great, but... It's like boasting about percentages, when the actual tangible number may not be so impressive. Exactly how many copies sold is this in the UK?